Escape was impossible until it was cleared; a game over would mean an actual "death"―. 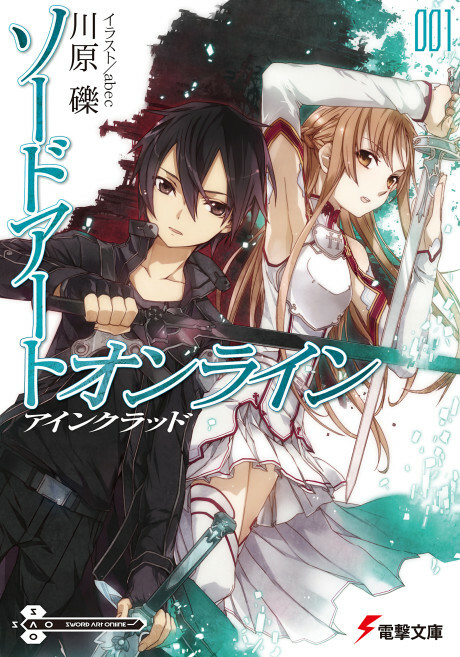 Without knowing the "truth" of the mysterious next generation MMO, 'Sword Art Online(SAO)', approximately ten thousand users logged in together, opening the curtains to this cruel death battle. Participating alone in SAO, protagonist Kirito had promptly accepted the "truth" of this MMO. And in the game world, a gigantic floating castle named 'Aincrad', he distinguished himself as a solo player. Aiming to clear the game by reaching the highest floor, Kirito riskily continued alone. Because of a pushy invitation from a female warrior and rapier expert, Asuna, he teamed up with her.